My dog almost got me in trouble today! So I get home this afternoon and my dog is laying on my porch covered in snow and mud and has a rabbit in his mouth. He’s not bloody, just dirty. 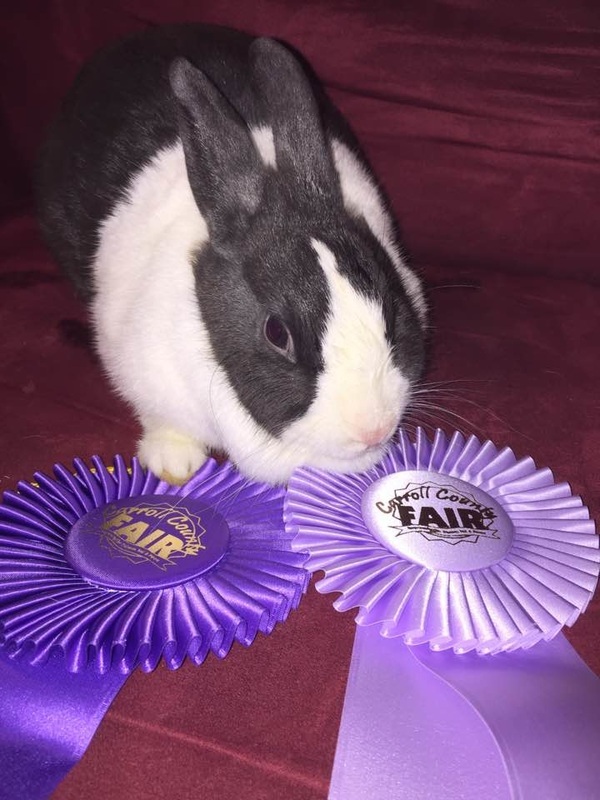 Now, my neighbors raised these rabbits for 4H and have Blue Ribbon winners. I instantly knew it was one of theirs. So I get the rabbit away from my dog, I take it inside, wash all the dirt off and before my neighbors got home I took it over, put him back in the cage and went back home. Not 30 minutes later I hear my neighbors screaming, so I go out and ask them what’s wrong? They tell me their rabbit died three days ago and they buried it but now it’s back in the cage! I know you’ve been working on the db really hard but you gotta stop hitting that sauce. Thx for the good laugh. Interesting way to torture the neighbors. Hmm maybe we should start an urban legend thread? My old boss used to commute by train to work every day. He started reading The Exorcist on the way in to make the journey go a little quicker. He mentioned one day that he thought it was the evilest book he’d ever read. In fact, he said it was so evil he couldn’t finish it. On the weekend he went to the local pier and threw as far into the ocean as he could. I went to the bookshop and bought another copy. I then ran it under the tap so it was nice and wet and put it in his desk draw for him to find. That is hilarious, it’s 3am and I am glad I am in the basement, otherwise I may have awakened the whole house. Priceless!! Ok…so did you own up and what did your neighbour say? This was used in a recent show starring Jim Carrey! They used chickens instead of pigs. Didnt know this was a thing. No idea either. I heard the story years ago. Probably happened, sounds legit anyway. I cannot lie. That story was sent to me via email from Mr. King. I LOL’d and had to share it!